Episode 1 of our Communal Property Essentials Series - What is Communal Property. In this first episode of our Communal Property Essentials series, we discuss what is communal property. Who is entitled to use it, who is responsible to maintain it and what legal set of rules govern how it should be treated. 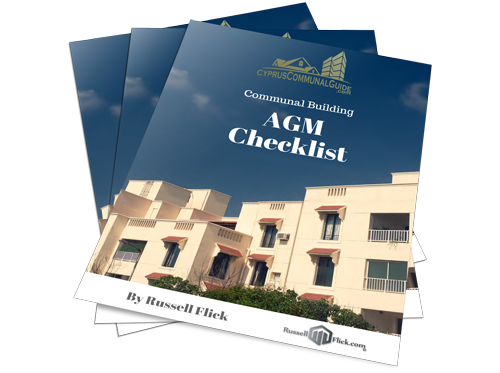 While you may think this is an obvious question to answer, it is actually surprisingly common to find owners, management companies, developers and even committees who are not aware of what communal property really is, and who is really in charge. In this first episode of our new communal property essentials series I will clearly lay out what is, and is not part of the communal ownership, who is responsible to manage it and where to find the references in the regulations to confirm this or present it to the unit owners. What I call Communal Property is sometimes known as ‘jointly owned property’ or the ‘common areas’ of an apartment building. When you purchase an apartment there will be some parts of your building which are shared by other property owners. This could be as simple as a carpark or corridor, or as complex (excuse the pub) as a large resort with added facilities. Effectively any part of the building which is shared by multiple unit owners is considered communal property. This includes your buildings roof, lifts, corridors, swimming pool and pretty much any space intended to serve all or some the owners. This is no different for Villas on developments with shared facilities like a private road, sewerage treatment, street lighting and so on. If these are part of the development and are shared by multiple owners, it is considered communal property. These parts of your building are not just shared by you and your fellow unit owners, you all own them. To break this down, let’s say your building has ten apartments. To make this example easy lets also say they are all the same size & value (The reason for this is quite important, but I will cover this in another video). In this scenario in addition to owning your apartment you would also own 10% of the communal property. So you own 10% of every tile, Light switch, elevator and so on. Now this does not mean you can go cutting your 10% off everything, but it does mean that if that light switch in the corridor needs replacing you are responsible for 10% of the cost. It doesn’t matter if the switch is on the 5th floor and your apartment is on the 1st, as you own your share of that light switch you are responsible for your share of its replacement. The same goes for any other expenses for the maintenance and operation of these areas, so the electricity bill for the lights, pool, lifts and so on, you would be responsible for 10% of that too. If you have a cleaner who comes to clean the communal areas once per week you are responsible for 10% of that cost and so on and so on. Also, it’s important to note that it doesn’t matter if an owner doesn’t use that facility. We hear this allot when owners argue they don’t want to pay for the pool maintenance as they don’t use their apartments. But all owners of communal property need to pay their share of all communal expenses, they own it, so they have to pay for it whether they use it or not. So now you may be asking, why is it organised this way and who set these rules. If your building has 5 or more units, I need to emphasise this is 5 separate units it does not matter if they are owned by 5 individual owners or one person owns them all, then they are controlled by a dedicated section of the immovable property law called section 38, ‘Buildings under Joint Ownership’. You can get a copy of this law on my website, and the link will be in the video description below. This law sets out the rules on how communal ownership share is calculated, how the building should be managed and operated. Its not the most riveting of documents but it is an important read. 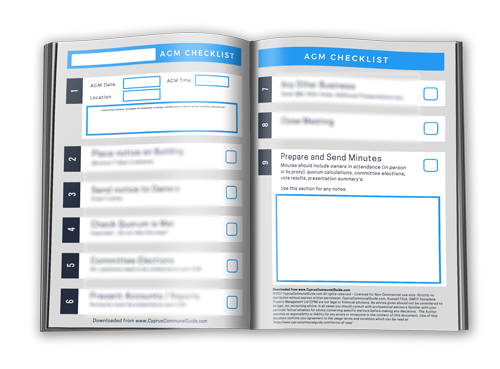 Also if you have a copy of my book ‘The Ultimate committee handbook’ you will see I break these regulations down and show you how they should be applied. If you don’t have a copy yet, there is a link in the description below. Ok so now we have covered what is communal property, we need to talk about who is in charge of it? Using the same example above, every time a light switch needs replacing, we cannot all have a meeting to discuss how to replace it. Even on small buildings this would become a nightmare, especially with so many unit owners in Cyprus not living in the building. So those regulations I mentioned earlier solve this problem by having a small group of unit owners elected once a year to make all these decisions and effectively run the building. The role of the management committee is a larger subject and will be the topic of episode two in the Communal Property Essentials so make sure to subscribe. Have any Questions on this topic or have a suggestion for a future topic. Do you have a question on this video or any other aspect of communal property management & Ownership, head over to our Facebook Group page and post your question. Need 1-1 Support, Advice or Property Management Services From Russell Flick and his team. 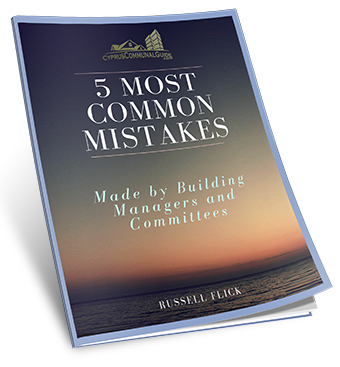 Want to find out how Russell Flick and his communal management team can personally help provide direct services to assist your committee in the management of your building. Click here to get a FREE no-obligation communal management Quote / Consultation from the top independent communal management specialists in Cyprus. 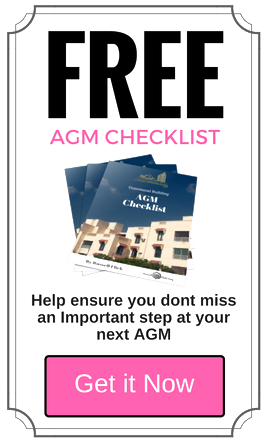 ​Help make sure that you dont accidentially invalidate your next AGM by missing an important step.